Buying new winter or summer tires for your Toyota vehicle is never fun, but at North Bay Toyota, we make the experience a lot more enjoyable by offering our clients dedicated customer service and a team of knowledgeable tire specialists that truly care about your needs. When it’s time to replace those worn out winter or summer tires, North Bay Toyota is here for you! When you come to North Bay Toyota for your winter or summer tires, our team of tire specialists will take the time to listen to your needs and answer all of your questions in order to help you find the perfect winter or summer tires for your lifestyle and budget. We carry only the best tire brands in the world, and we know which tires work best for your Toyota. At North Bay Toyota, we can also store your tires in our climate-controlled storage facility, and we can install your tires when you come in for your next service appointment. At North Bay Toyota, we want to make things as easy as possible for you. To inquire about our winter and summer tires as well as our seasonal promotions on the purchase of new tires, contact us today at North Bay Toyota by dialing 1 844 841 9156, or online using our contact form. If you’re looking for winter tires for your Toyota, take advantage of North Bay Toyota’s Price Match Promise. With our Price Match program, you are sure to get the right price on the right tires for your Toyota. Toyota has an extensive selection of tires from Canada’s best-selling brands. 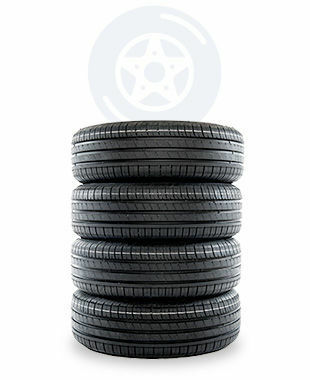 Bring your Toyota home and find the right tire, at the right price. That’s our promise.